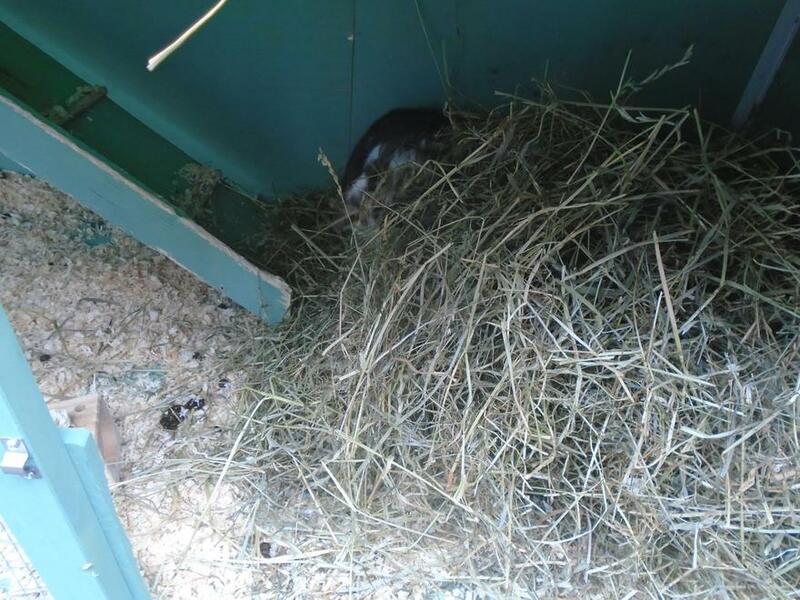 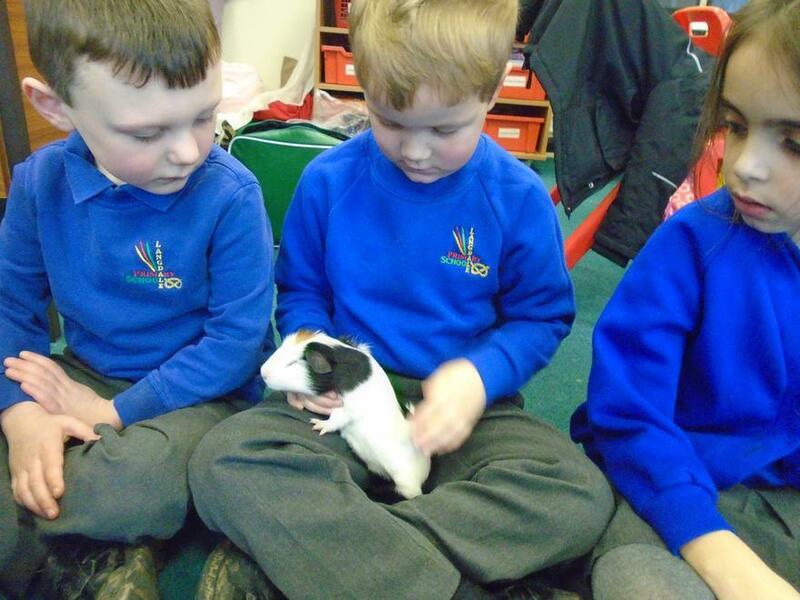 We are very lucky at Langdale to welcome 4 new pets. 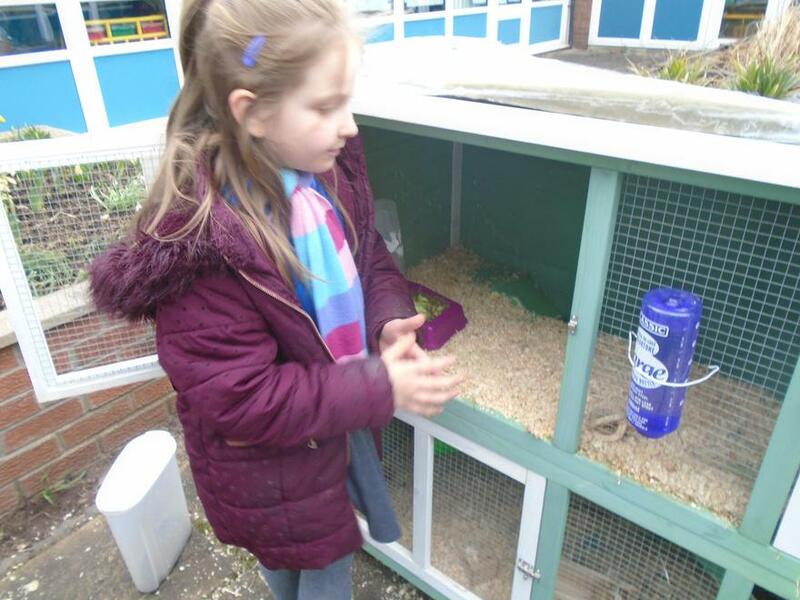 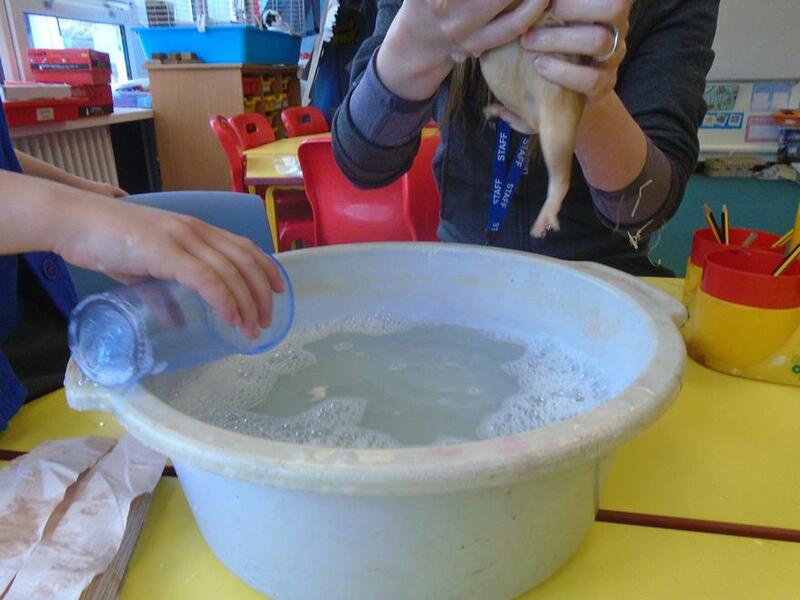 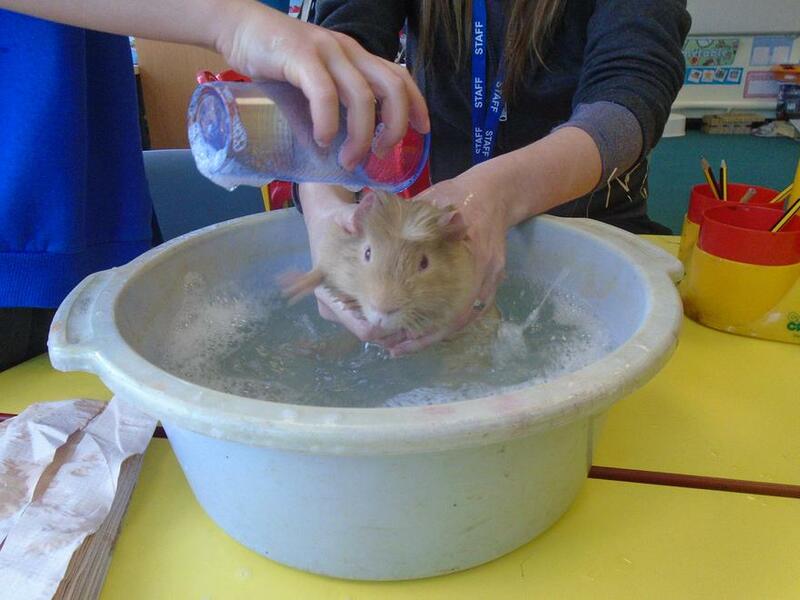 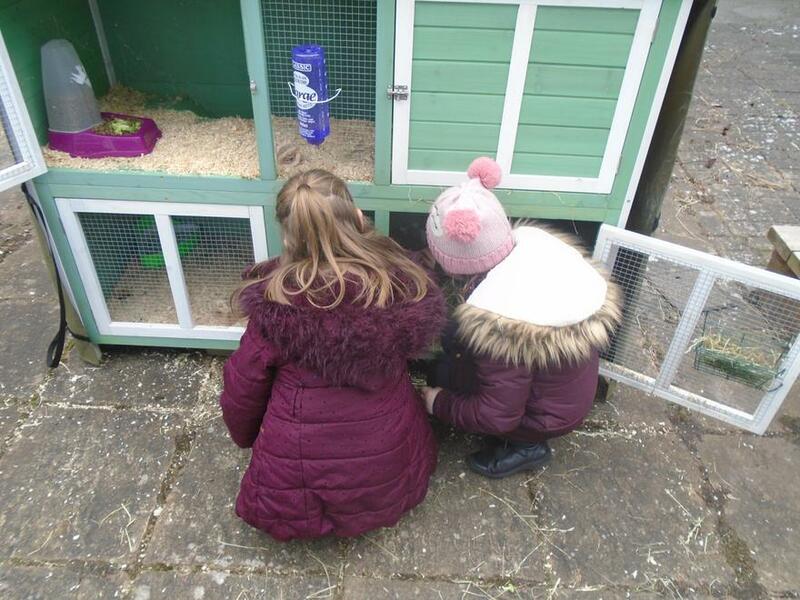 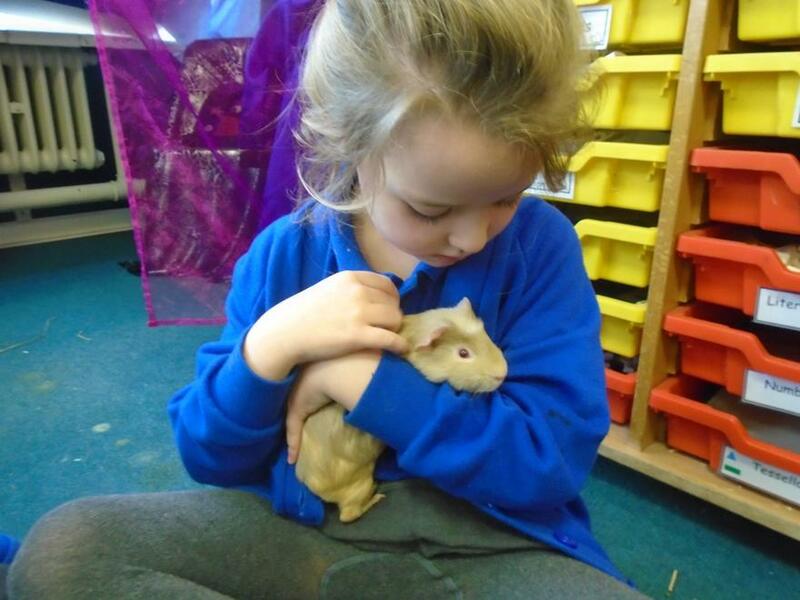 Year 1 are responsible for the daily care of the animals and so far the children have done a fantastic job! 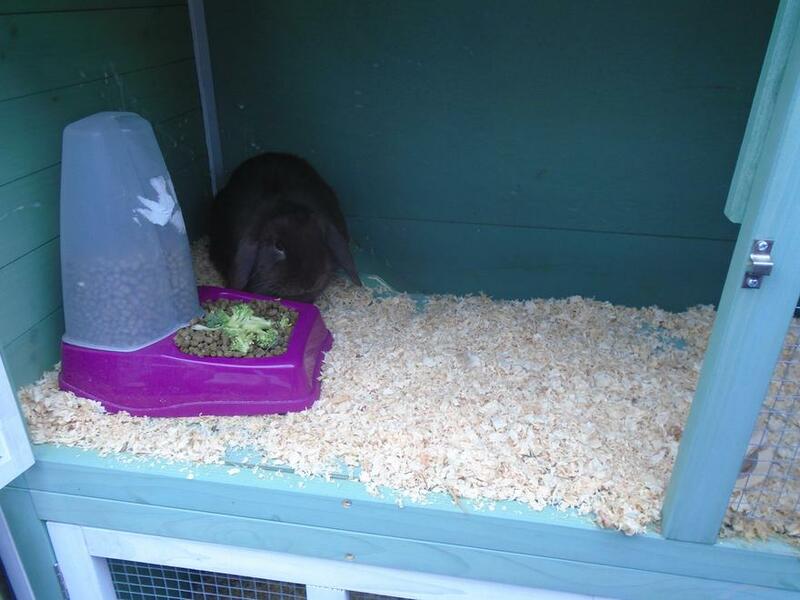 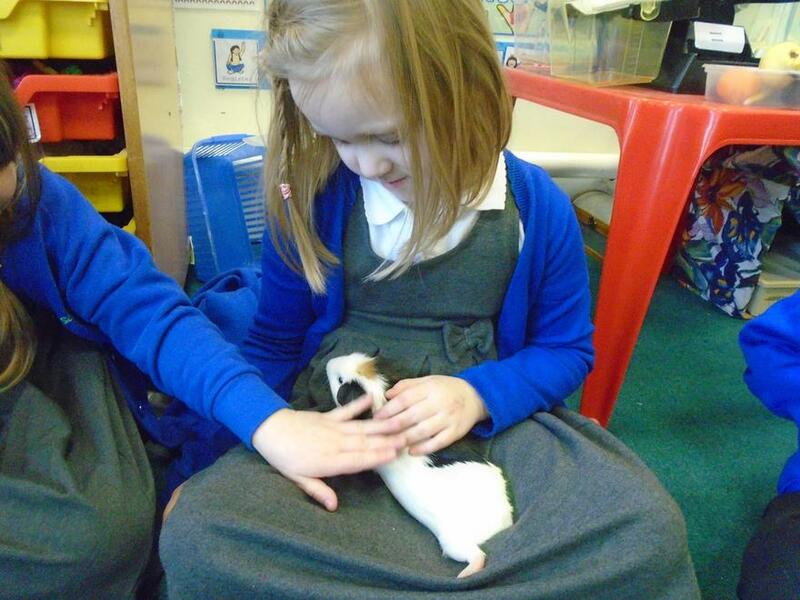 Our 2 rabbits are called Daisy and Buttons, our 2 guinea pigs are called Bulbasaur and Pikachu! 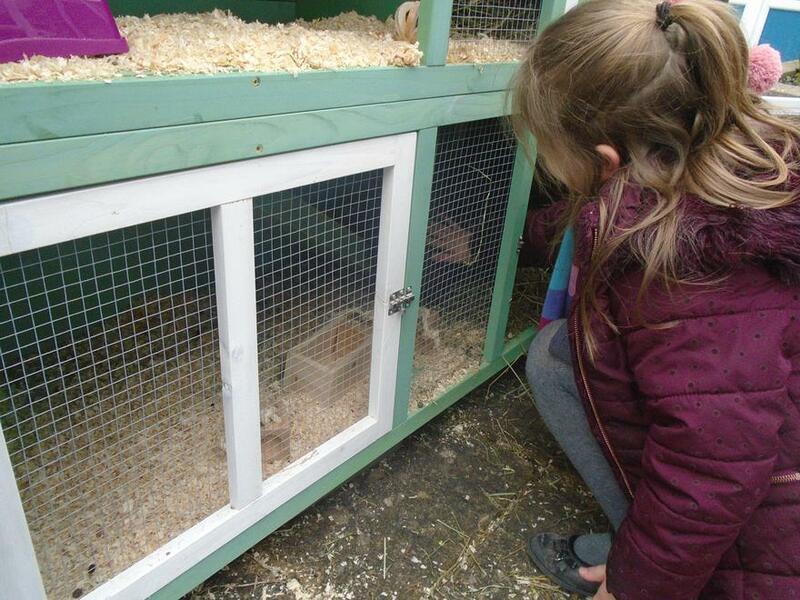 Keep an eye on this page to see how we are getting on! 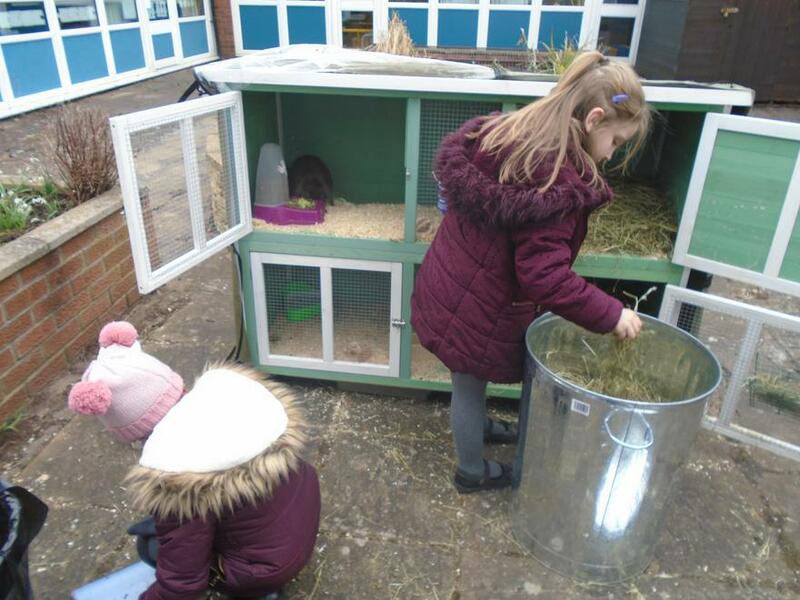 KS1 have been taking their responsibilities very seriously. 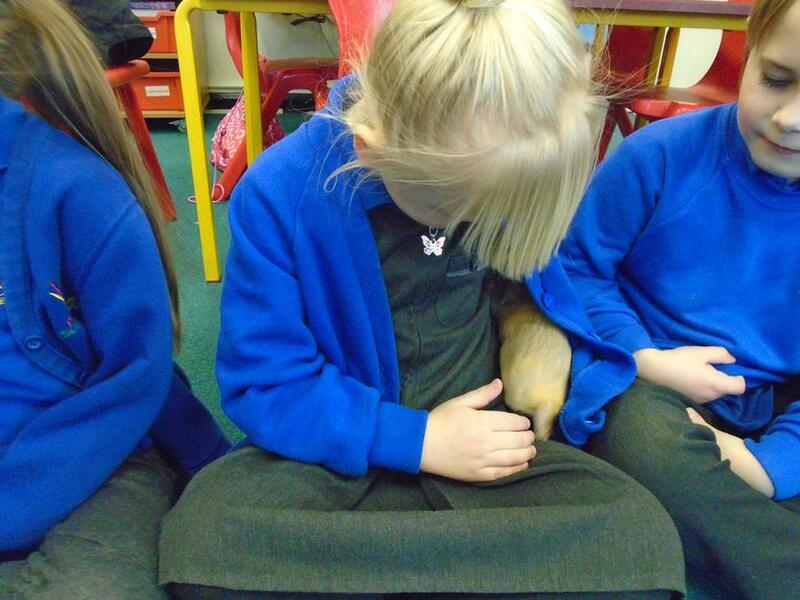 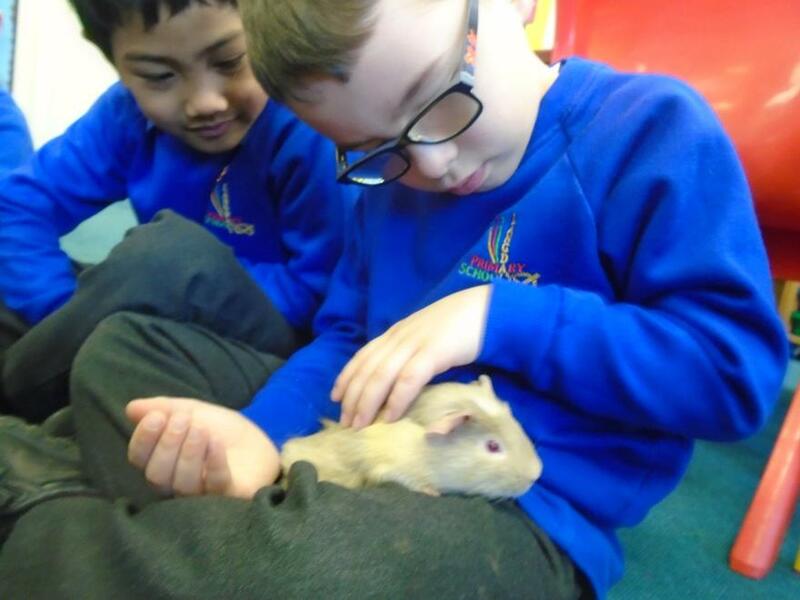 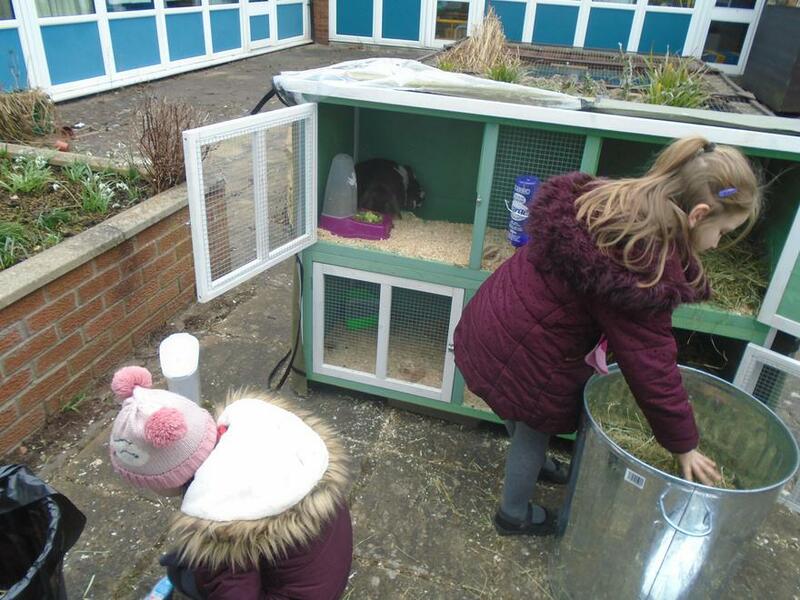 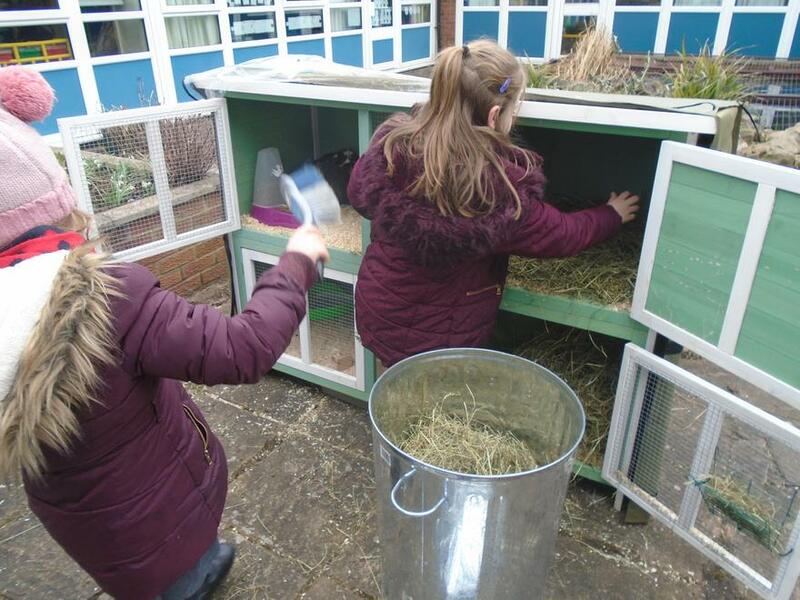 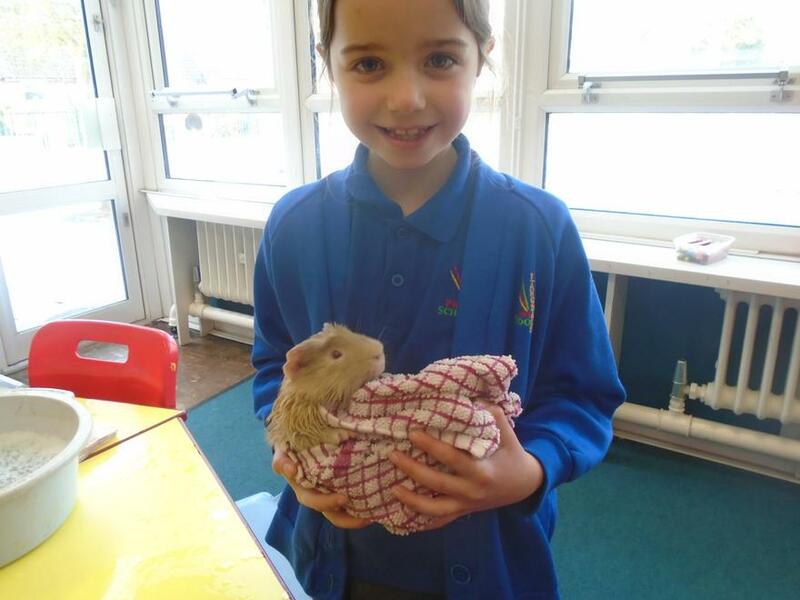 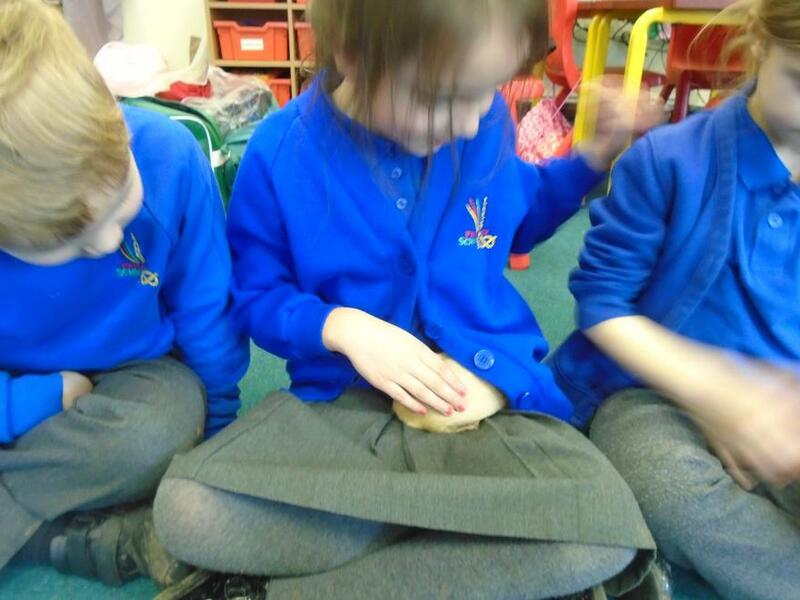 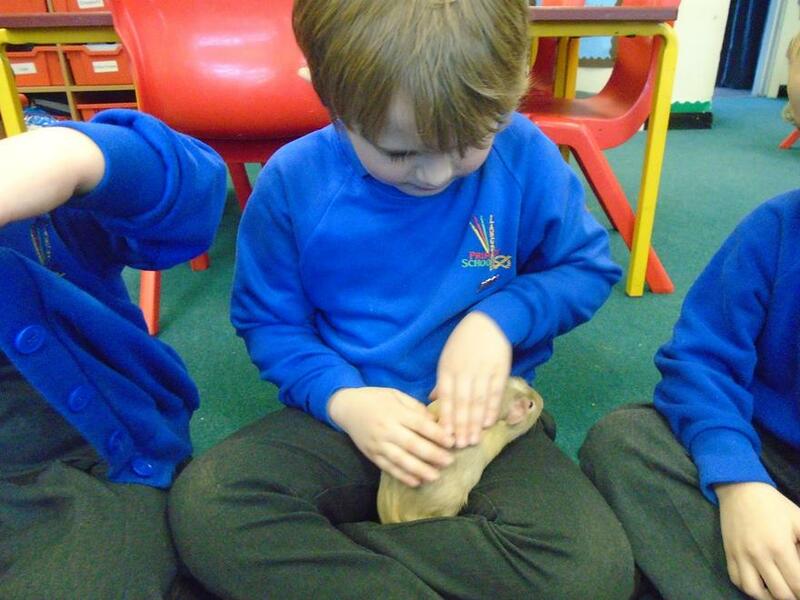 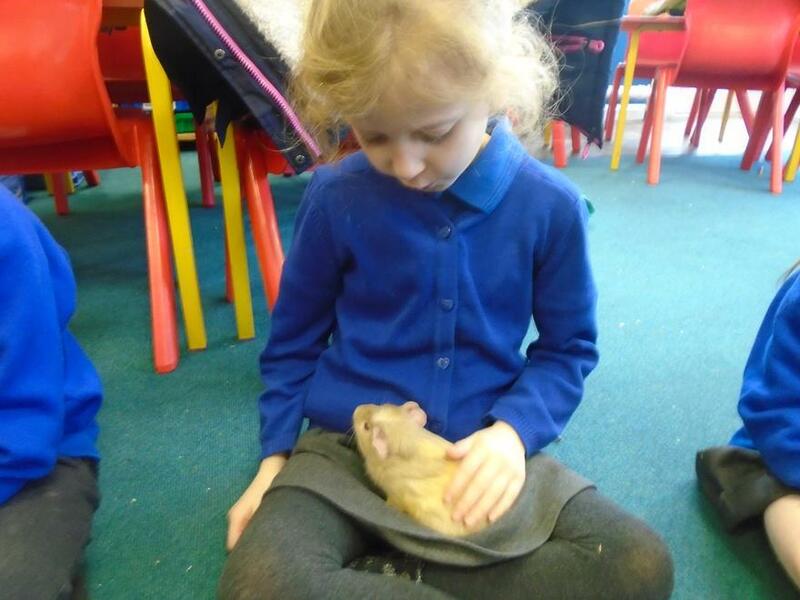 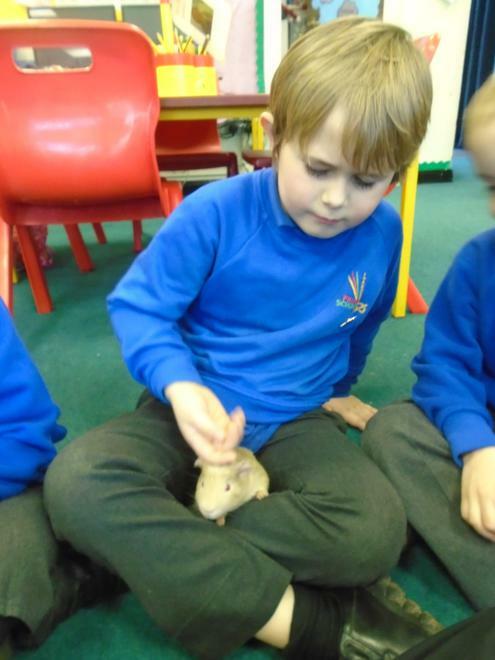 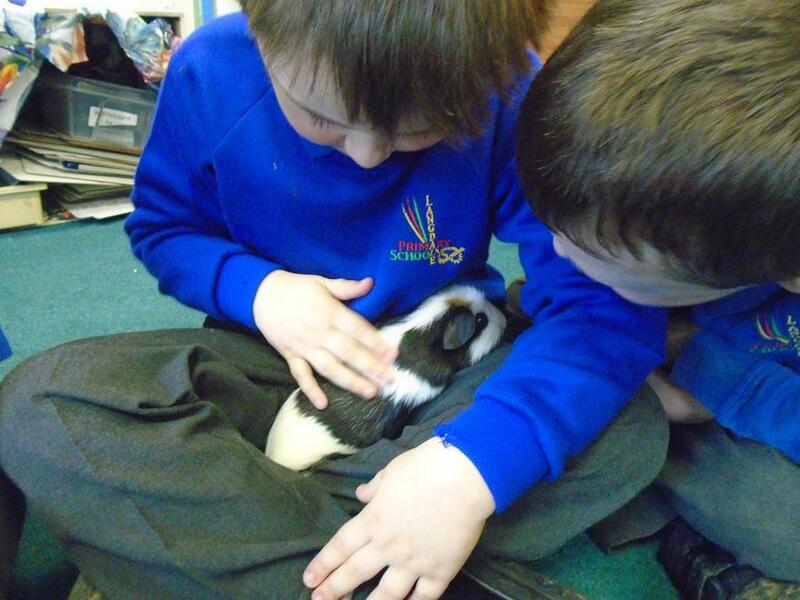 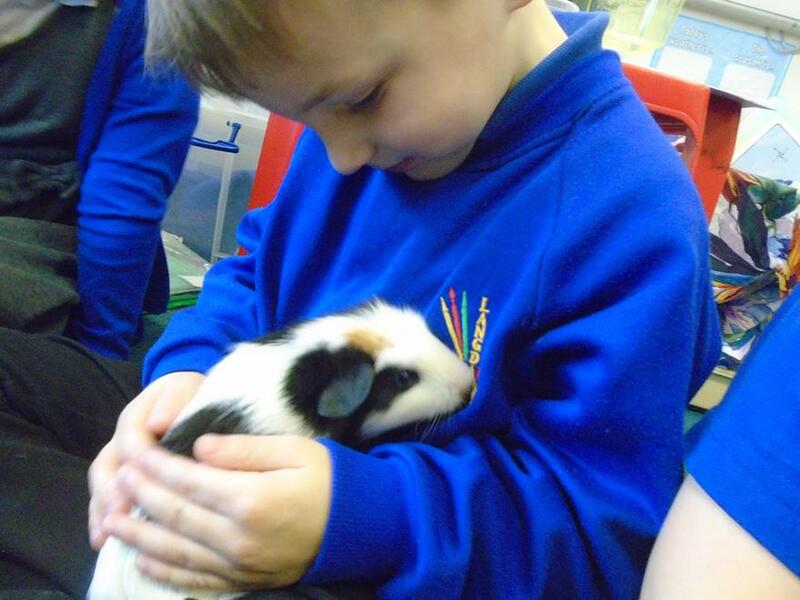 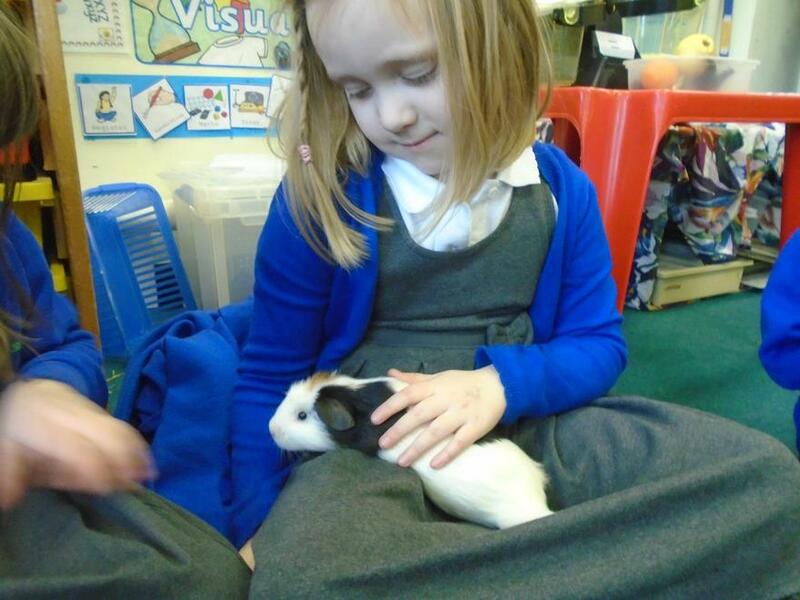 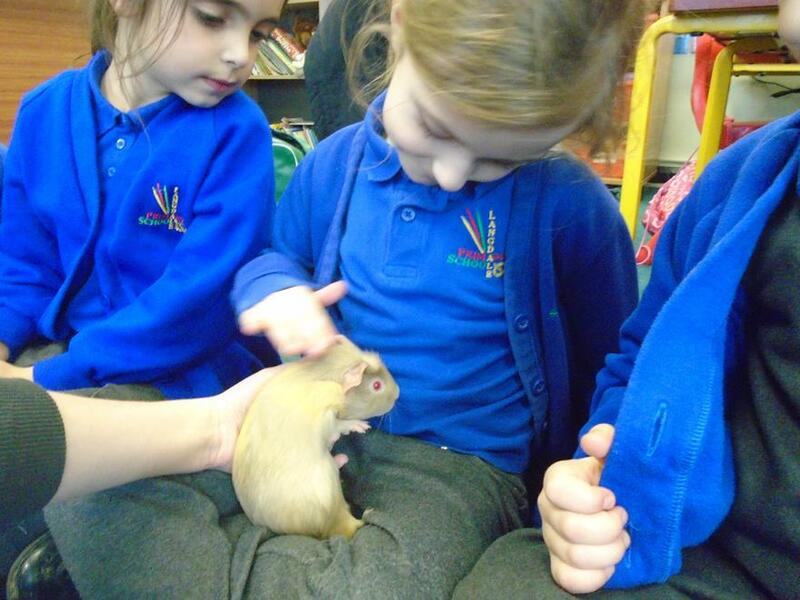 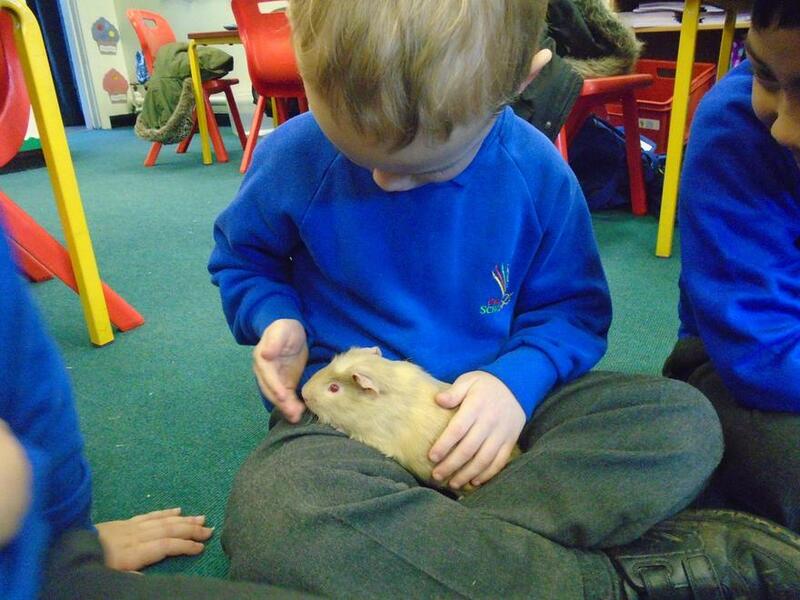 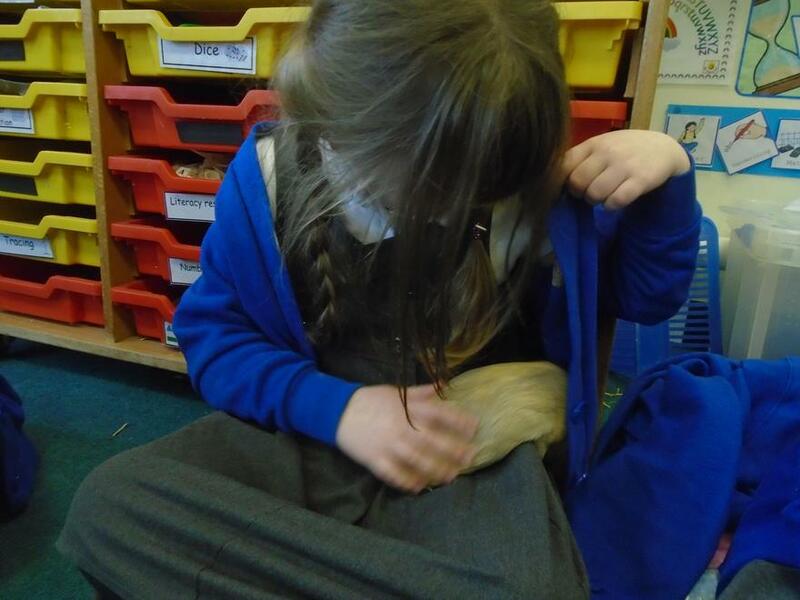 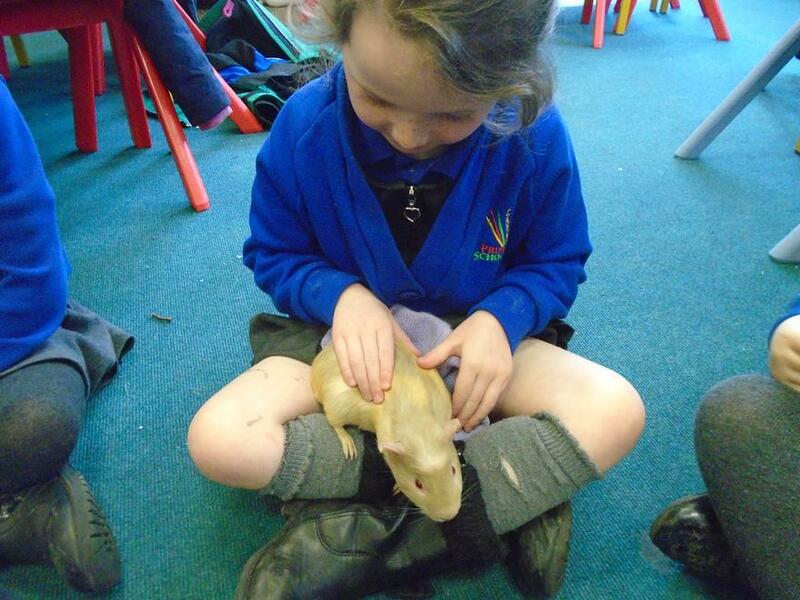 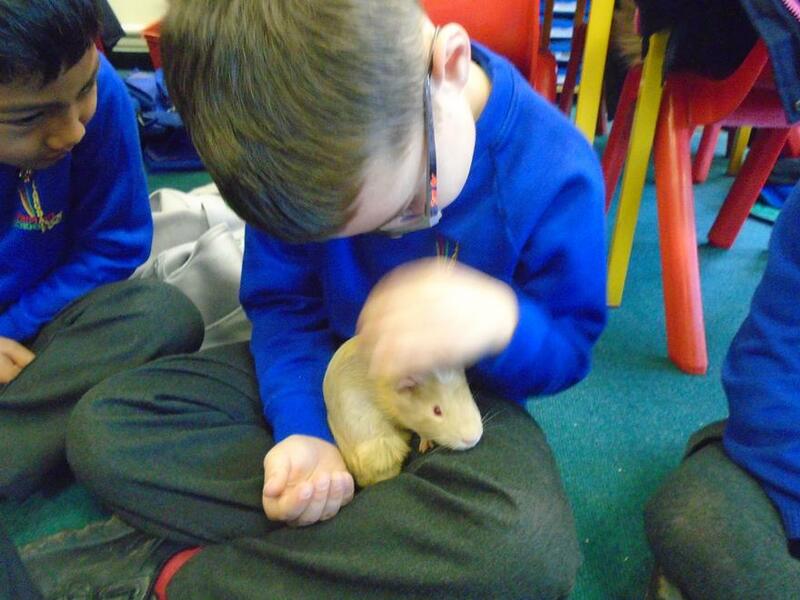 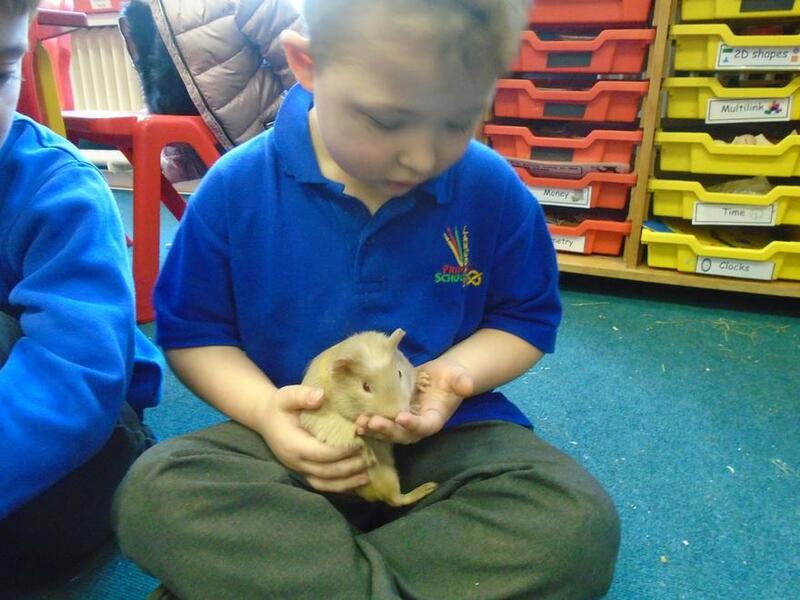 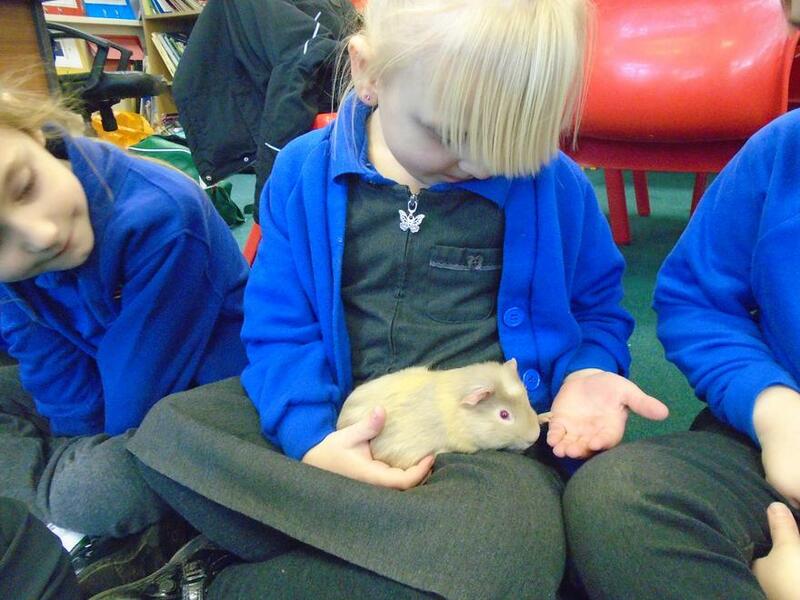 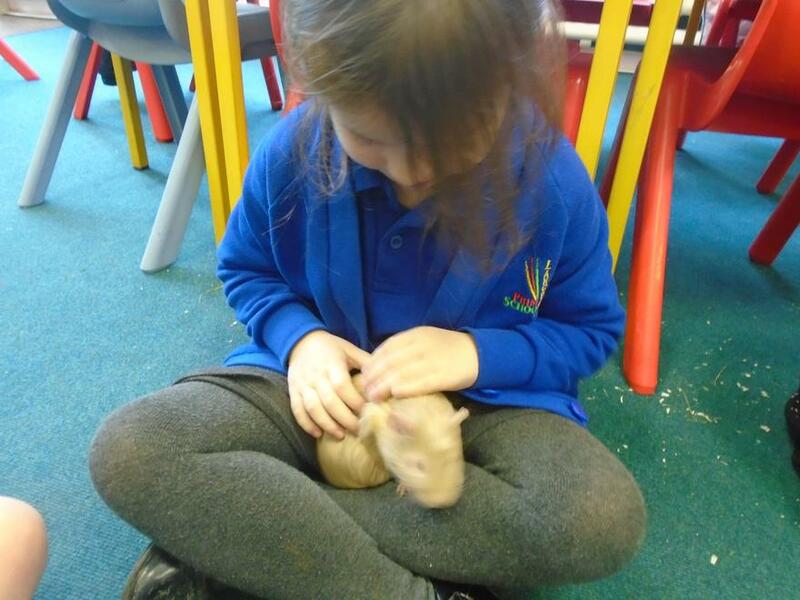 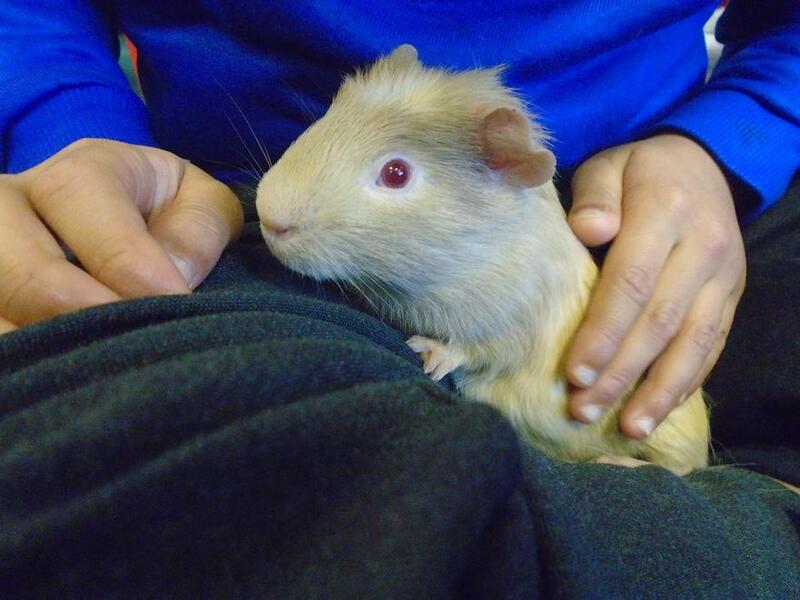 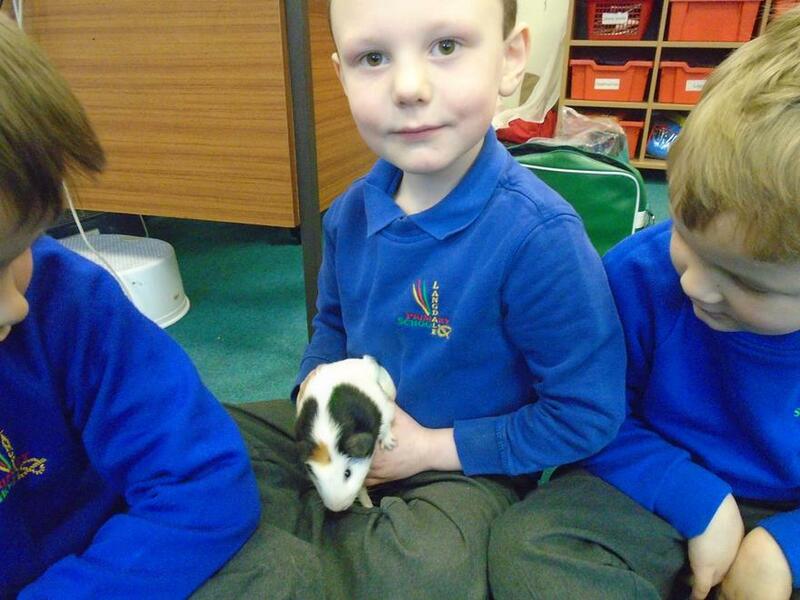 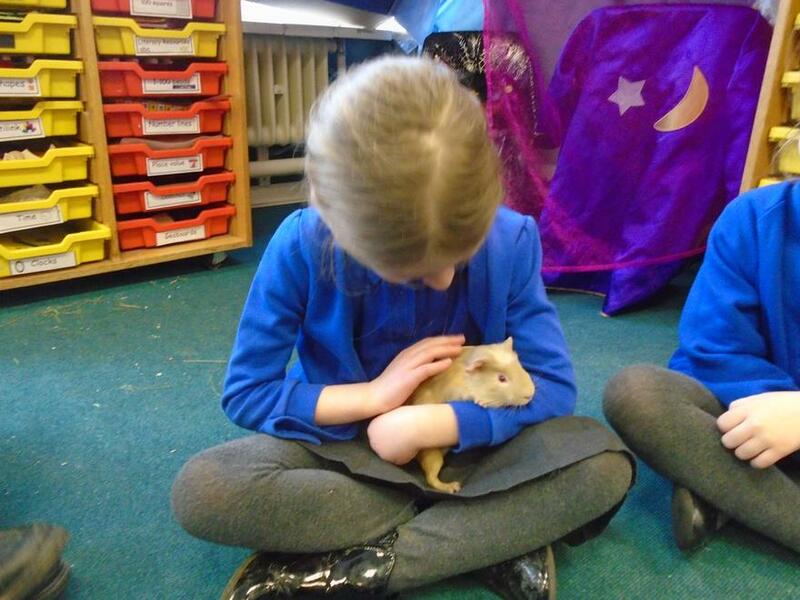 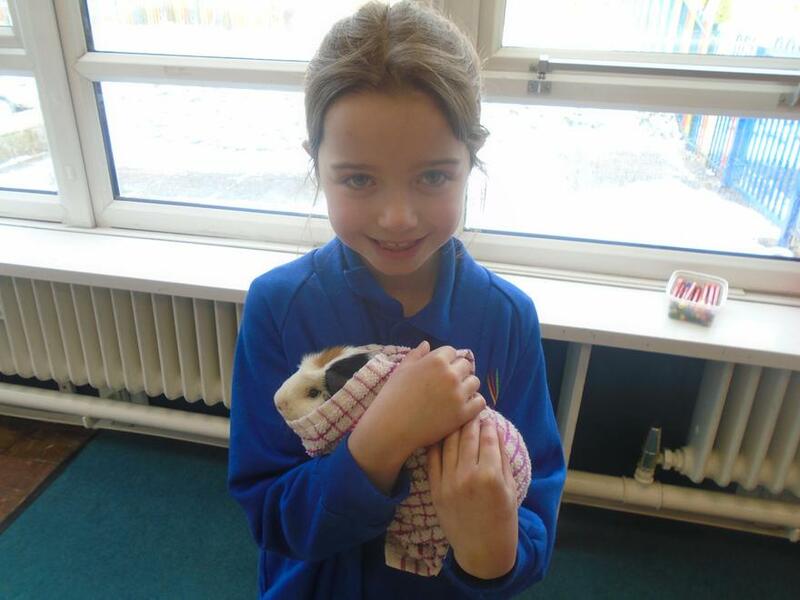 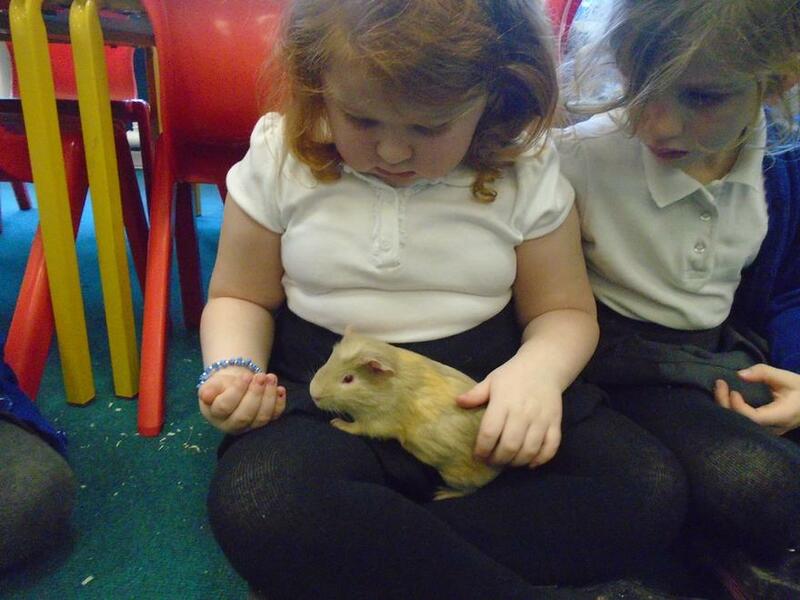 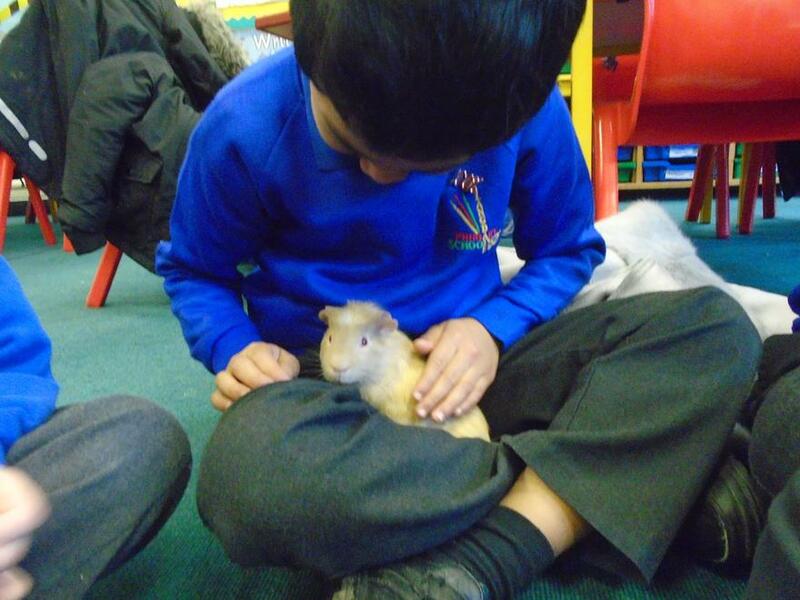 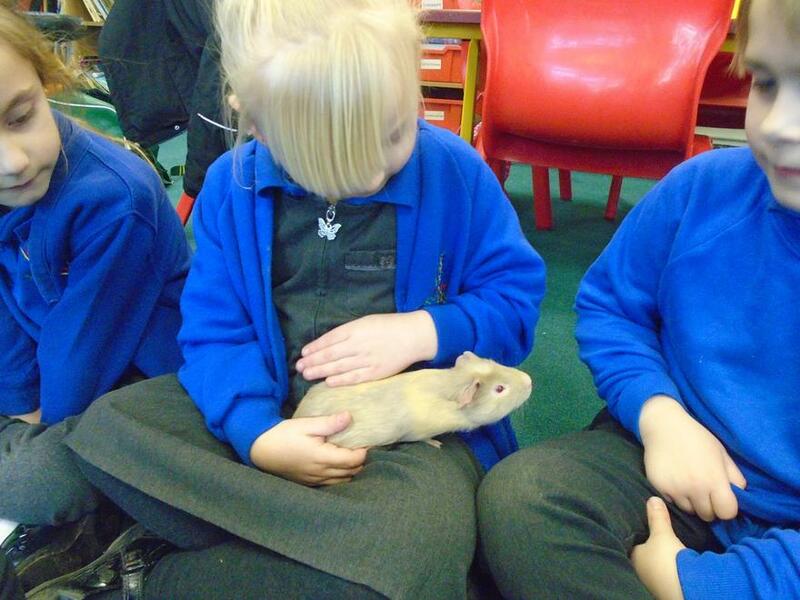 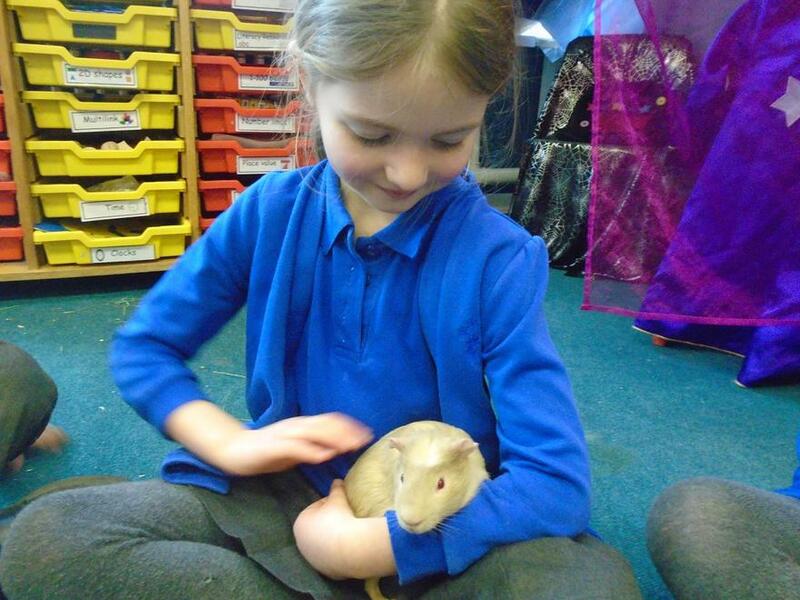 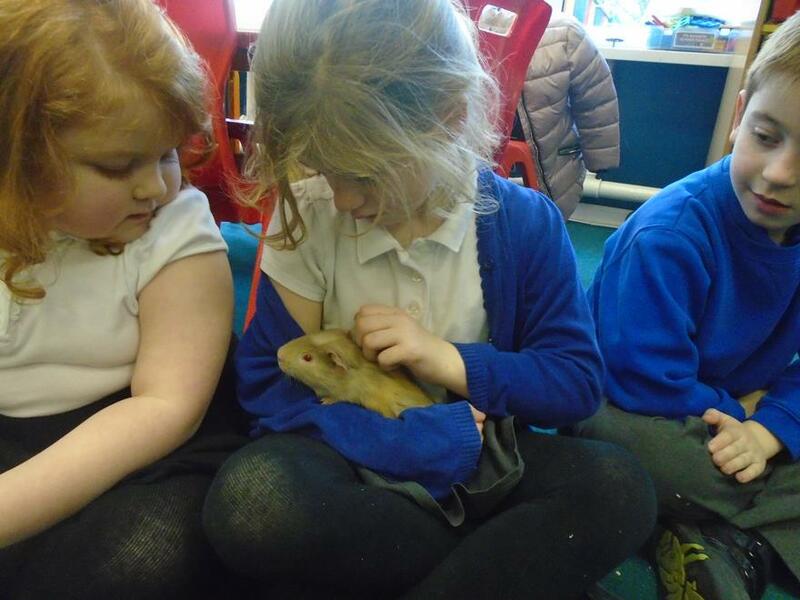 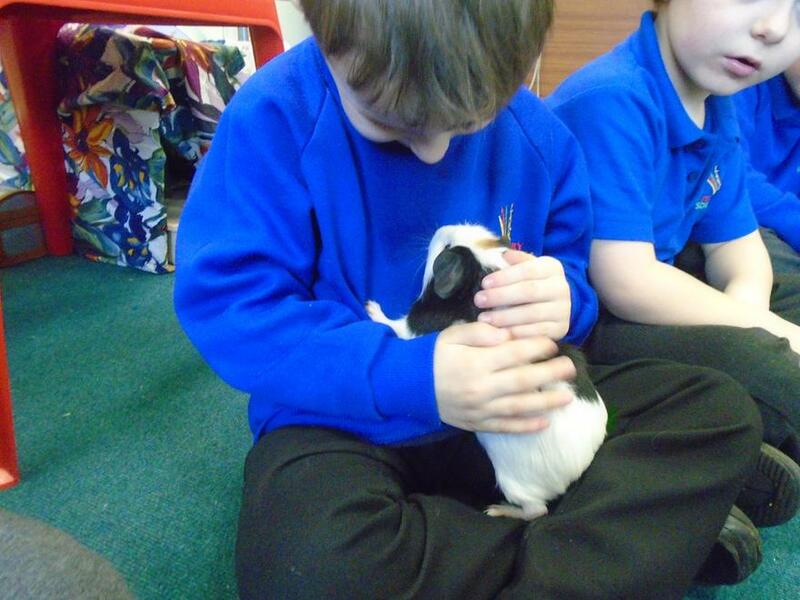 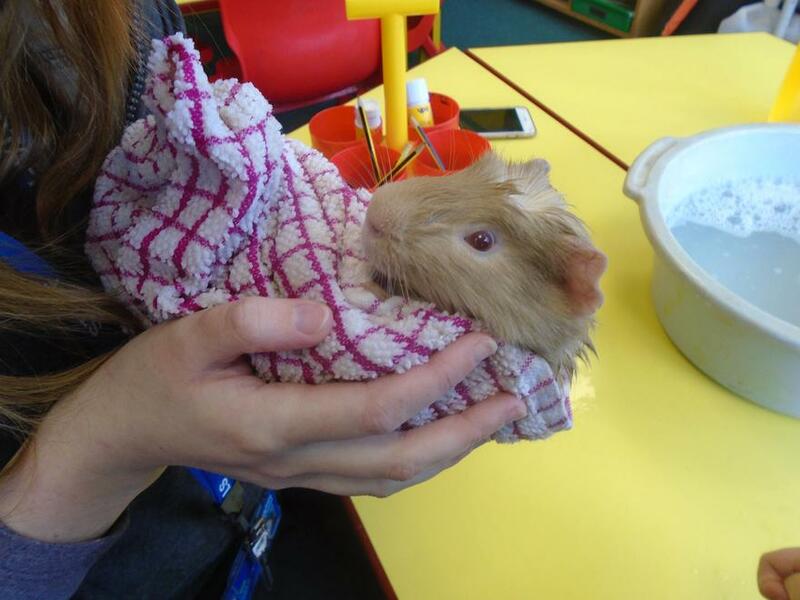 1R cuddle the guinea pigs.